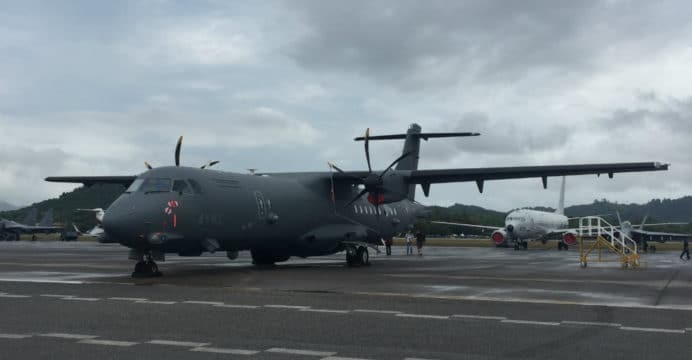 The Royal Malaysian Air Force (RMAF) will evaluate several potential candidates for a requirement of four new maritime patrol aircraft (MPA). The Malaysian government approved the acquisition in its budget for 2018, the Malaysian National News Agency (BERNAMA) reports. “Besides the aircraft’s capabilities, the team will evaluate other functions of the aircraft, including its supportive aspect and whether it (the aircraft) could collaborate with our local industry. We need to look holistically on its long-term benefits,” said RMAF Chief of Air Staff, Gen. Tan Sri Affendi Buang. The new MPAs are being sought to provide the RMAF with anti-submarine warfare (ASW), maritime surveillance (ISR), search-and-rescue (SAR) and electronic intelligence (ELINT) capabilities. If brought to fruition, the RMAF hopes it would be an initial order with follow-on batches. The RMAF technical team will also include an officer from the Royal Malaysian Navy. BERNAMA listed the Airbus Defence & Space C295, Leonardo ATR-72MP, Boeing P-8 Poseidon and Indonesia’s own CN235 as the leading candidates for the RMAF MPA requirement. The Boeing P-8 is a noticeably unique platform of the list considering it is much more capable – and costlier – than its lighter turboprop-based competitors. The Saab Swordfish MPA could be also be an option, giving the RMAF a jet-powered MPA option with ASW and anti-ship warfare (AShW) capabilities. However, Saab does not have a Bombardier Global 6000-based Swordfish MPA for the RMAF to test. According to BERNAMA, Malaysia is also considering Japan’s Lockheed Martin P-3 Orion MPAs, which it is now replacing with the Kawasaki P-1. However, given that the Japanese P-3s are old airframes, the RMAF will look at them as potential interim or bridge aircraft, and will seek them at free of cost. The RMAF currently flies Beechcraft B200 aircraft in the MPA role. The RMAF’s future MPAs would have improved ISR and ELINT equipment, but with added attack (via ASW and possibly AShW) capabilities.